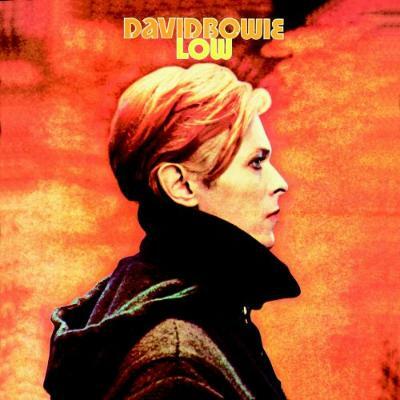 Before hearing this, my understanding of David Bowie was the guy in the big suits on the ‘China Girl’ video, or him being on Live Aid: I didn’t understand the Berlin years, so buying ‘Low’ was my first real foray into ‘serious music’. It led me to the Kraftwerks and people like that, but it also led me back through Bowie’s career, and it made me explore the people he worked with. It was a door-opening record. I already head Hunky Dory, and I loved that and I was looking for a bit of guidance, so I leafed through Select’s top 100 Records and it was in the top ten. At first, it was quite weird. It’s completely unsettling, and it’s a shock, but it’s a masterpiece. That’s why Bowie is such a sacred cow: he can straddle era-defining pop music and weird, avant-garde forays into the underworld. It was only when I was writing The Optimist that I understood what ‘Sound + Vision’ was about, and it blew my mind all over again. It feels like the album’s about writer’s block and waiting for the epiphany, that idea of trying to empty your mind of clutter and grasp that weird place where inspiration strikes. It’s a really definitive record by someone who’d already been writing for 12 years and had been really, really famous for about five of them, but I can still relate to it. Bloated with coke, personal life a total shambles, and yet he could still write something that reaches out over 30 years to another person. And on a personal level, it made me read about Bowie and realise that so many of the people in his family were schizophrenic; I have the same experience with my mother and grandmother, a lot of those fears about your own mental acuity and the idea of "Am I going mad or am I going to kill myself in the next seven minutes?". I like the fact he was still willing to explore those things while knowing that he may not have been able to find his way back to who he was. I think it’s the best Bowie album by far – it doesn’t necessarily have the best Bowie songs on it, but it’s the one I always want to go back to and bask in.